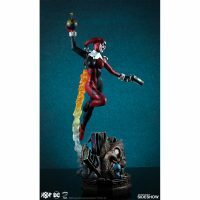 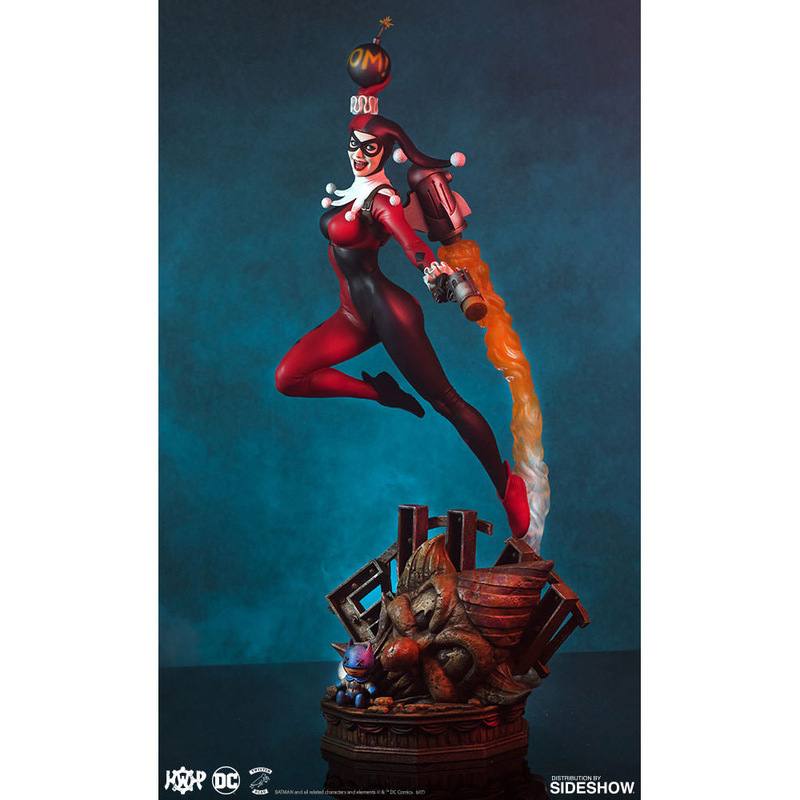 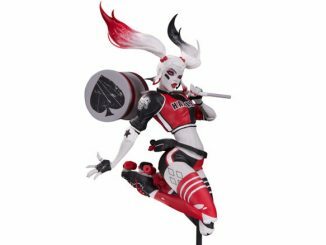 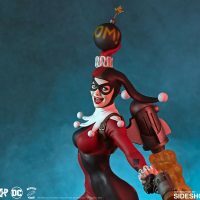 The Harley Quinn Super Powers Collection Maquette reveals that the Clown Princess of Crime has gained the power of flight… with the help of a jetpack. 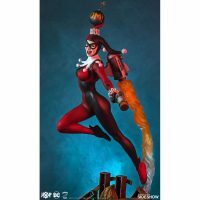 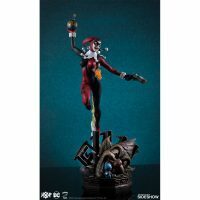 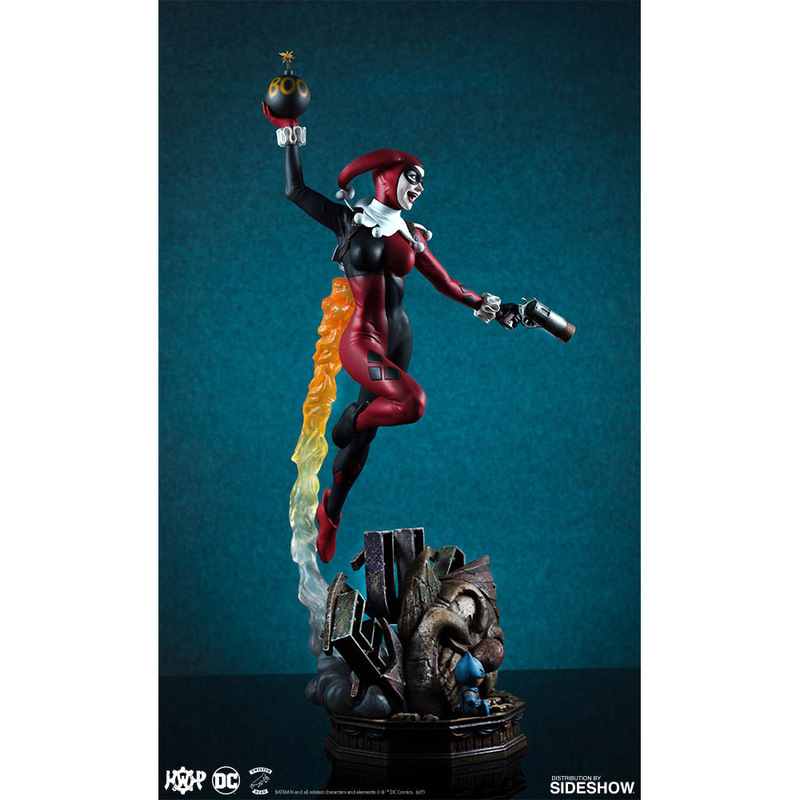 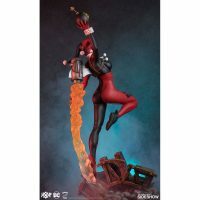 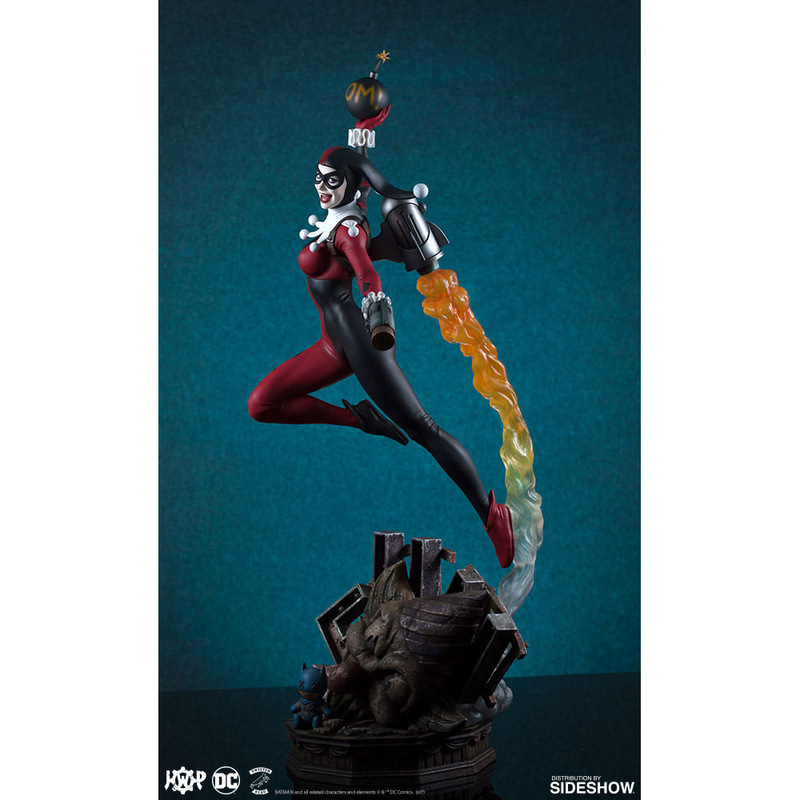 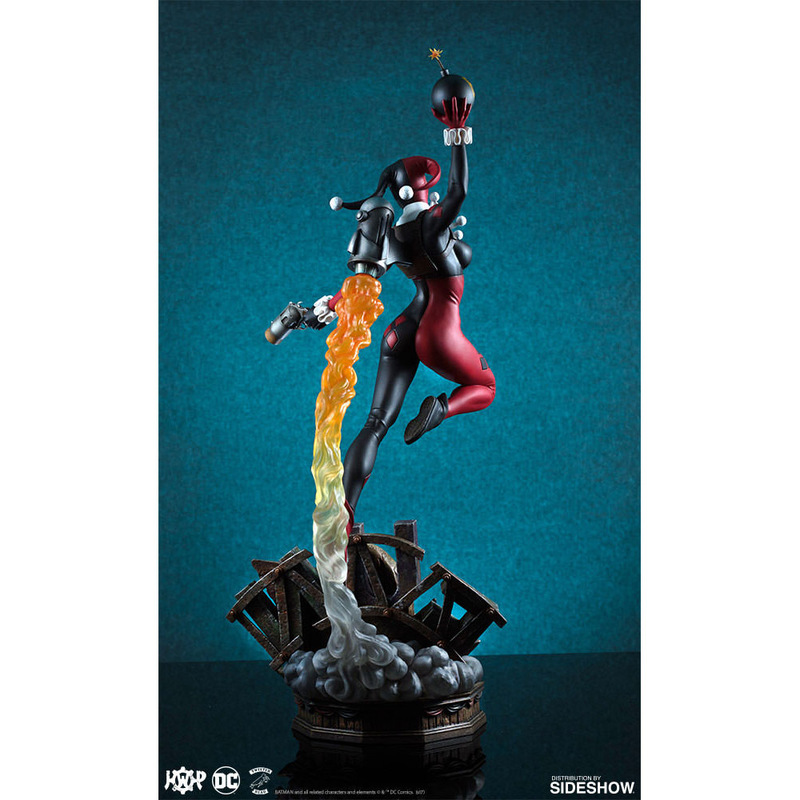 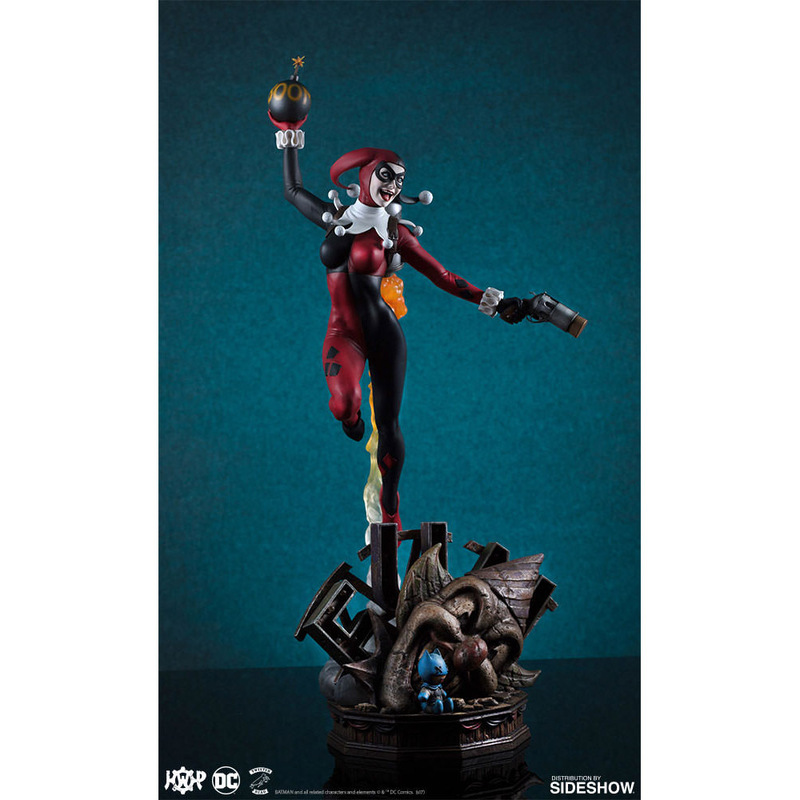 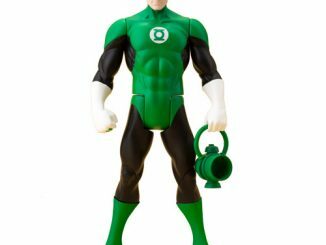 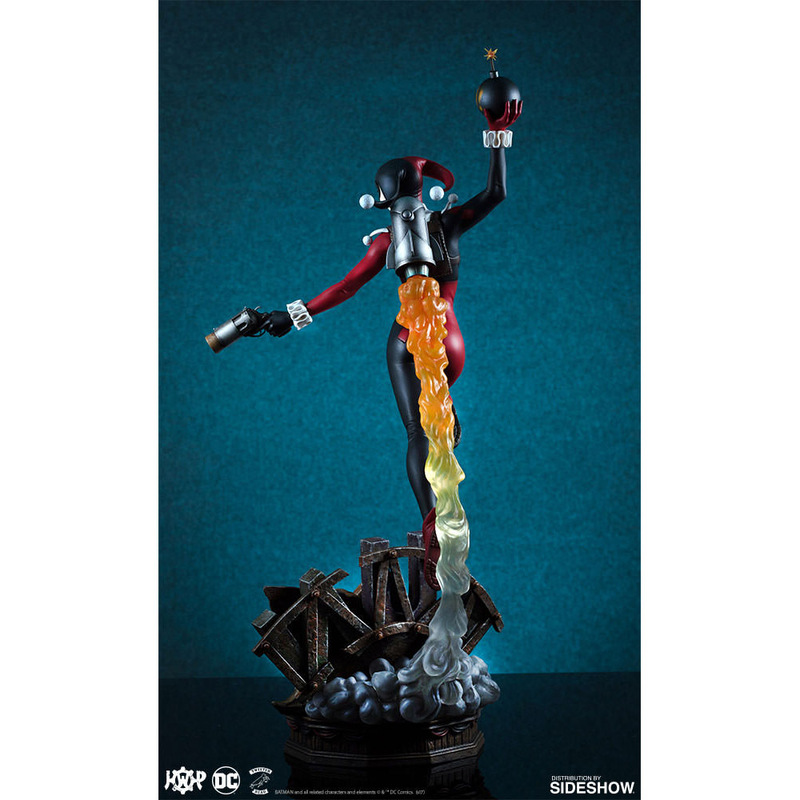 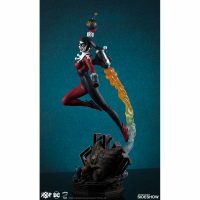 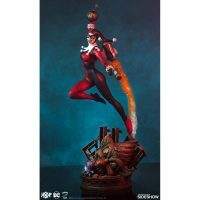 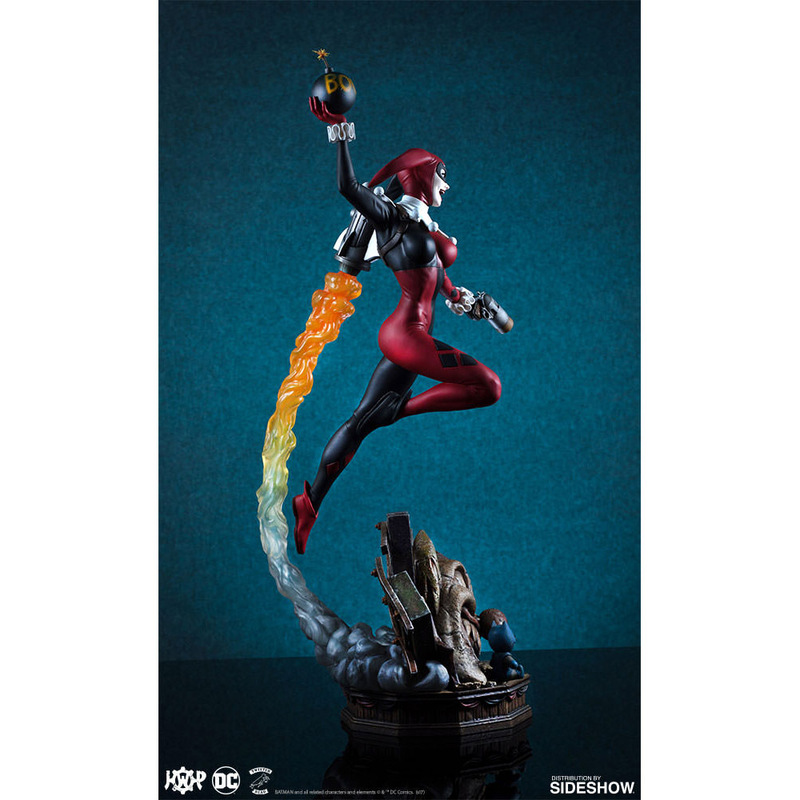 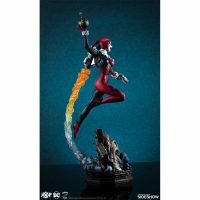 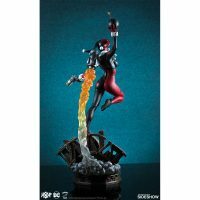 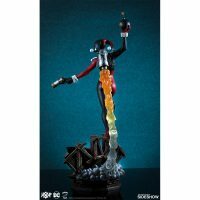 First in the new ‘Super Powers Collection’ of DC maquettes, this statue stands 18 1/2-inches tall and features Harley Quinn blasting off with a jetpack while holding her cork-gun and a lit bomb. 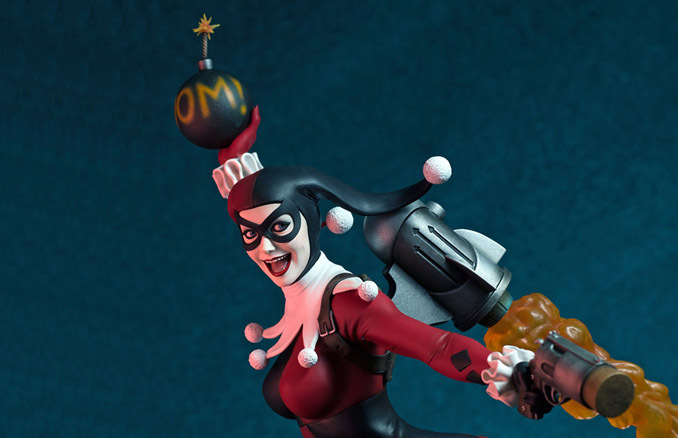 The base features a highly-detailed section of an abandoned funhouse that includes a tiny stuffed Batman doll. 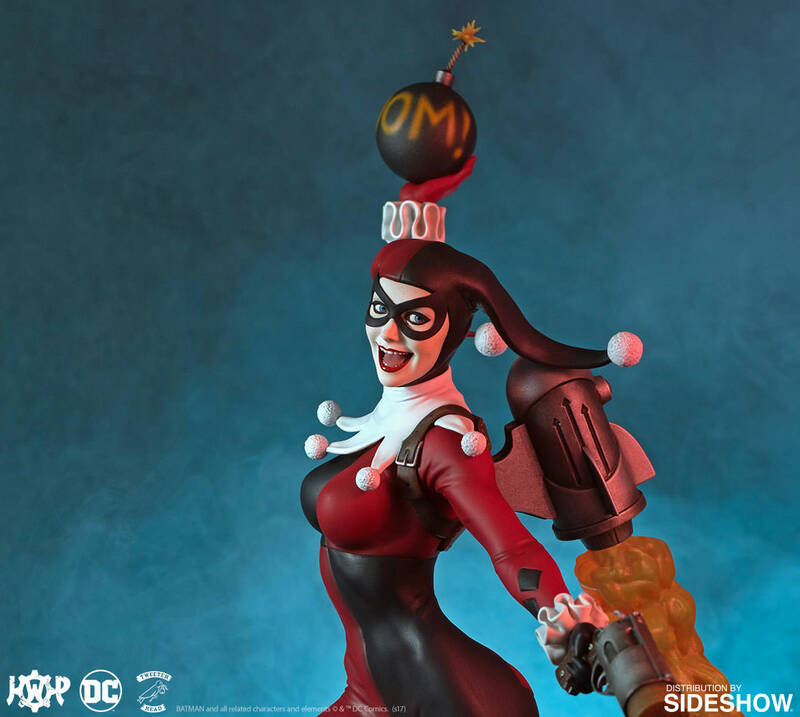 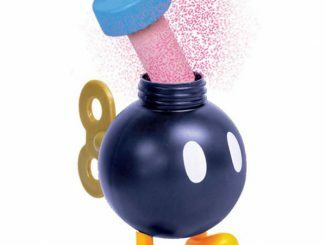 It looks like Harley is having a great time but you know that bomb is going to ruin someone’s day. 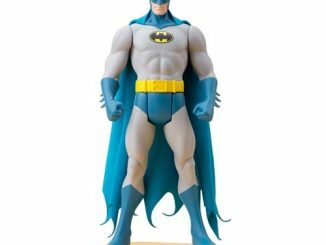 Probably Batman’s. 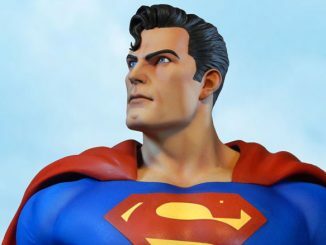 Coming Aug 2017 – Oct 2017. 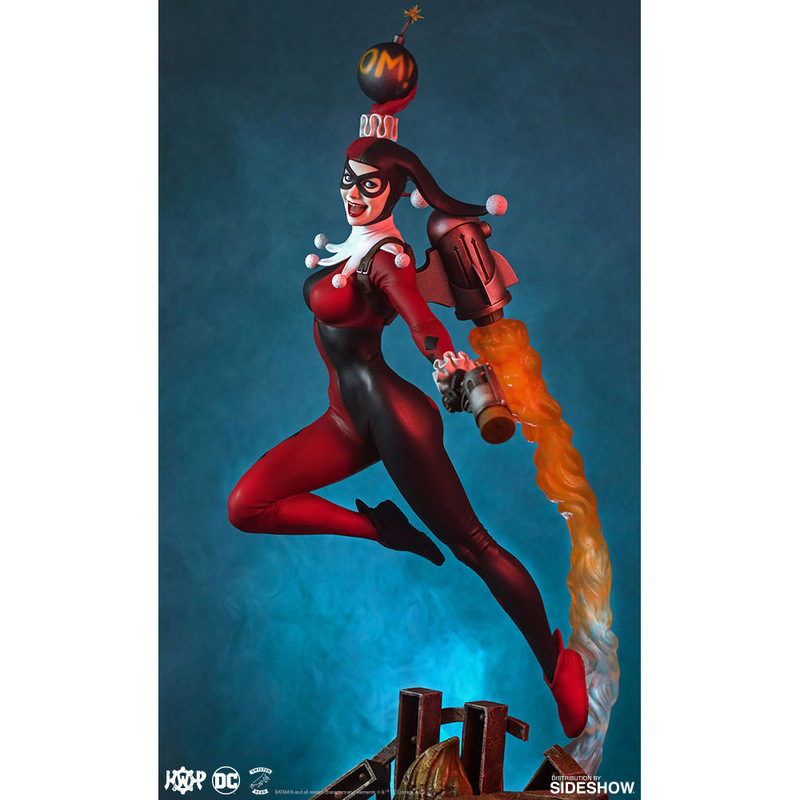 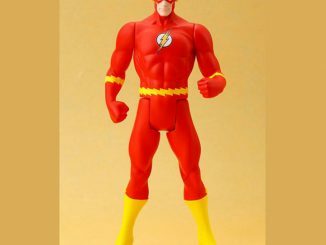 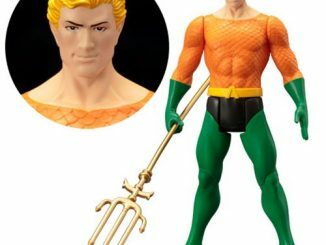 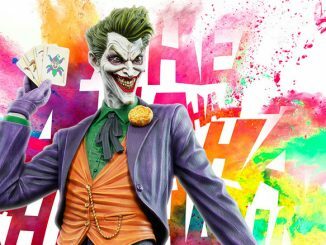 Pre-order now for $294 at Sideshow Collectibles. 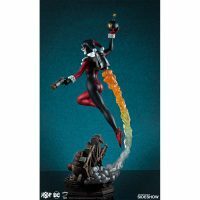 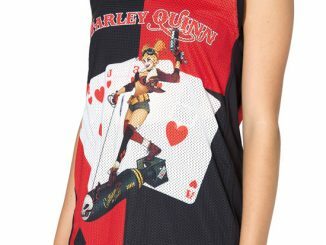 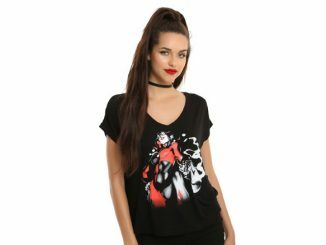 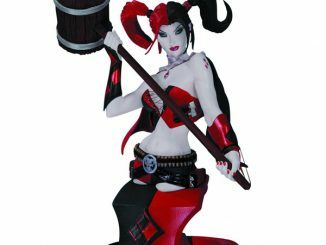 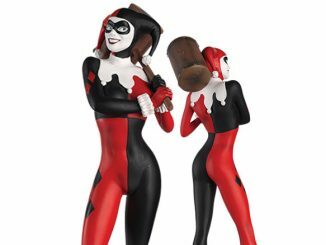 Blast off to Rout.com to find more great deals on Harley Quinn goodies.